Add a touch of creative Sparkle with these fabulous glitter pens from Spectrum Noir. Available in a range of on-trend, seasonal colours containing fine glitter micro-pigment, and featuring a flexible nylon brush for accurate, mess-free application, these pens are perfect for colouring, writing, embellishing, accenting and more! 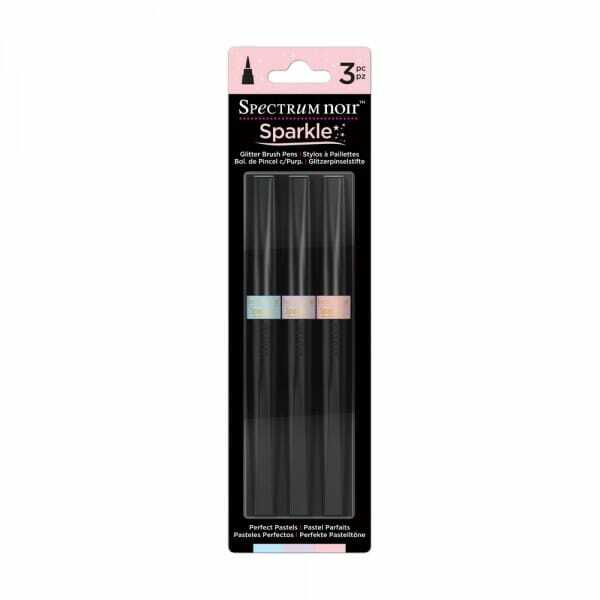 Customer evaluation for "Spectrum Noir 3pk Sparkle Pens Set - Perfect Pastels"